Home You Go Productions is a production company set up by award winning director and writer Colette Cullen and producer Madeleine Roche to develop and produce high quality theatre, films and television drama. Home You Go Productions was created to push audience boundaries and to present innovative work that is entertaining, thought provoking and emotionally engaging. Colette's new play FAMILY TREE is part of Smock Alley's Scene + Heard 2019 Festival on February 28th and March 2nd. Her short duologue BESTGIRL88 was part of Redact the Abstract's New Writing Night in Craftory, London on December 13th. Colette's short play BROKEN THING was part of Stichin' Fiction's original new writing night in Theatre Deli on September 24th. 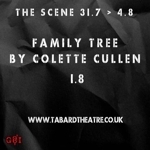 FAMILY TREE was staged as part of Get Over It Production's 'The Scene' a New Writing Festival in The Tabard Theatre, London on August 1st, 2018 and in Full Disclosure Theatre's XPOSED in Southwark Playhouse on November 7th. The next instalment is par of Bashir Production's Creative Collisions in the Cockpit Theatre on November 27th. 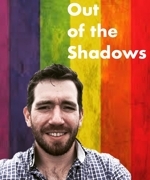 Her short play OUT OF THE SHADOWS was part of Acting Out's '25/The Decriminalisation Monologues' in Outhouse Theatre from June 14th to 116th, 2018 and the podcast version will be available soon. 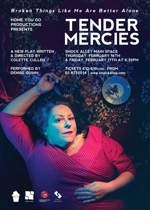 She directed her play TENDER MERCIES in Smock Alley Main Space on Februray 16th and 17th as part of the Scene + Heard 2017 festival before moving on to the Garter Lane Theatre in Waterford from March 2nd to 4th. She directed her play YES in the 2016 International Dublin Gay Theatre Festival from May 9th to 14th in The Pearse Centre Theatre where it was nominated for Best Female Performer. 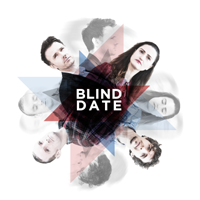 She directed her play BLIND DATE in the 2015 International Dublin Gay Theatre Festival from May 11th to 16th in Outhouse Theatre where it was nominated for Best Male Performance. It was shortlisted for RTE's P J O'Connor Radio Drama Awards. Her short play BESTGIRL88 was shortlisted for the Little Pieces of Gold September 2015 Showcase in The Cockpit Theatre, London. She directed the hugely successful BEASTS in Collaborations 2015 in Smock Alley, The Mill Theatre Dundrum and The Millbank Theatre, Rush in 2015. Her short play FOREVER completed a successful run in the 2014 International Dublin Gay Theatre Festival and she directed Harold Pinter's NIGHT in Dramsoc earlier last year. She has written and directed a number of prize winning short films for broadcast which have achieved widespread film festival distribution. She has also written for RTE's flagship ongoing TV drama series Fair City. Colette is developing a feature film script about clerical sexual abuse BLOOD MONEY for Open Shutter Productions. Colette is Artistic Director of Home You Go Productions. Colette graduated with First Class Honours from the MA in Directing for Theatre at UCD in 2014. She also has a BA (Hons) in Film and Video from the University of the Arts London and a MA (Hons) in Film Production (Fiction) specialising in direction from The Northern School of Film and Television (Leeds Metropolitan University). Madeleine co-produced Colette's play TENDER MERCIES for the Scene + Heard 2017 festival in Smock Alley and the Garter Lane Theatre, Waterford. She produced Colette's play YES in the 2016 International Dublin Gay Theatre Festival. She produced Colette's play BLIND DATE in the 2015 International Dublin Gay Theatre Festival from May 11th to 16th in Outhouse Theatre. She produced BEASTS in Collaborations 2015 in Smock Alley and in The Mill Theatre, Dundrum and The Millbank Theatre, Rush in 2015. She also produced FOREVER written and directed by Colette which premiered at the International Gay Theatre Festival in May 2014 and was Production Assistant on NIGHT by Harold Pinter also directed by Colette in Dramsoc in April 2014. She has extensive experience in sales and publishing. Madeleine is General Manager of Home You Go Productions.